"The Ecotone report illustrates that the more resources we spend performing services in the traditional way, the greater the negative return on investment." Learn more about the social return from the annual public investment in foster care. 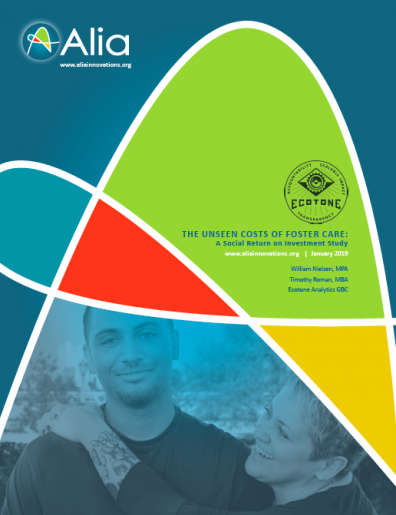 Learn from Alia and Ecotone Analytics as they discuss the findings of the report and start a national dialogue on how to better utilize public investment in foster care.